You are at:Home»Articles»How To Live Longer? NOTE: This is not medical advice. Always seek the advice of a qualified medical professional before engaging in any treatment claims reported in articles, books, and videos. When I read Genesis 2:7 – and indeed the entire account of how the heavens and earth were created – not according to men and their religious systems, but according to an Almighty Creator to whom I believe the world has not come to know – I see wisdom. I see health benefits. It is that part of Genesis 2:7 where The Prophet Moses, under the inspiration of God, wrote that the first man existed as a lifeless soul (but he existed, as a dead soul). That this first man did not come to life – that, is a living soul – until God breathed into his nostrils. Then I began to think about this. But I first thanked God. Then I thought about it for several days. This what I concluded. If one reads the temptation account at Matthew Chapter four, Jesus actually acknowledges that the kingdoms of the world belong to Satan. When Satan offered Jesus all of the kingdoms of the world, did Jesus check Satan? Did he say to him, “You cannot give me what is not yours to give?” No, he did not. The Apostle Paul was in agreement at 2 Cor 4:4 where he acknowledges that Satan is the god of this world. So, there is something in the mixture of the air of this world that works counter to the original air that God had made and breathed into the first man. That original air is gone. That it is gone, what are we breathing, then? What is it that we are breathing that allows us to live for a time and then grow old and die? What is it that we are breathing that just allows us to live and then die and not live forever? We can survive for weeks and even months without food; live for many days without water; but, we cannot survive more than a few minutes without oxygen. It is critical that we understand how God created man and woman if we are to understand how we can significantly extend our lives in this world and significantly improve our health. The human body is made up of 70% – 80% water. 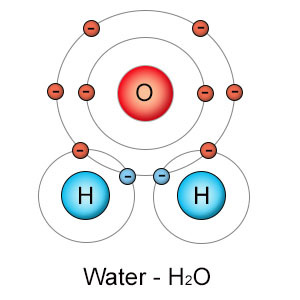 A water molecule is composed of one oxygen atom and two hydrogen atoms. Each hydrogen atom is covalently bonded to the oxygen via a shared pair of electrons. Oxygen also has two unshared pairs of electrons. (Covalent means that atoms share electrons share electrons. In the case of a water molecule – which is made up of two atoms, an oxygen atom, and a hydrogen atom – they both share their electrons in their respective outer shells). Now, let’s look at the atomic structure of oxygen alone and then hydrogen alone. This is an important exercise. I will try to keep it as simple as possible. All atoms consist of three particles: Electrons, Protons, and Neutrons. All atoms have what is called an atomic number. The atomic number is determined by the number of protons in an atom. In the case of the oxygen atom, it has an atomic number of 8. Why? Because it has 8 protons. Electrons have a negative charge and are very light. Protons have a positive charge and are heavier than electrons. And neutrons have no charge. All atoms have what is called a nucleus. 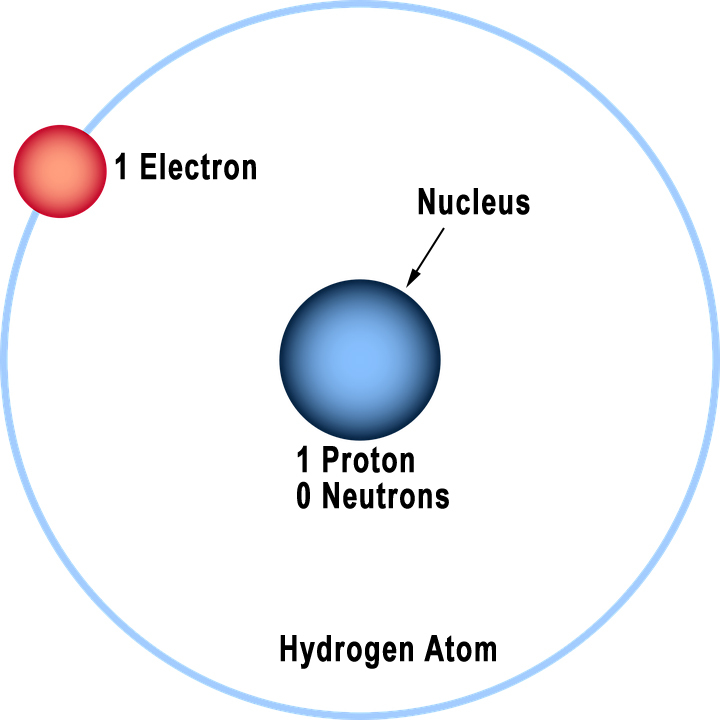 The nucleus is composed of an equal number of protons and neutrons. Electrons always orbit outside and around the nucleus. Notice that the number of electrons is the same as the number of protons and neutrons. 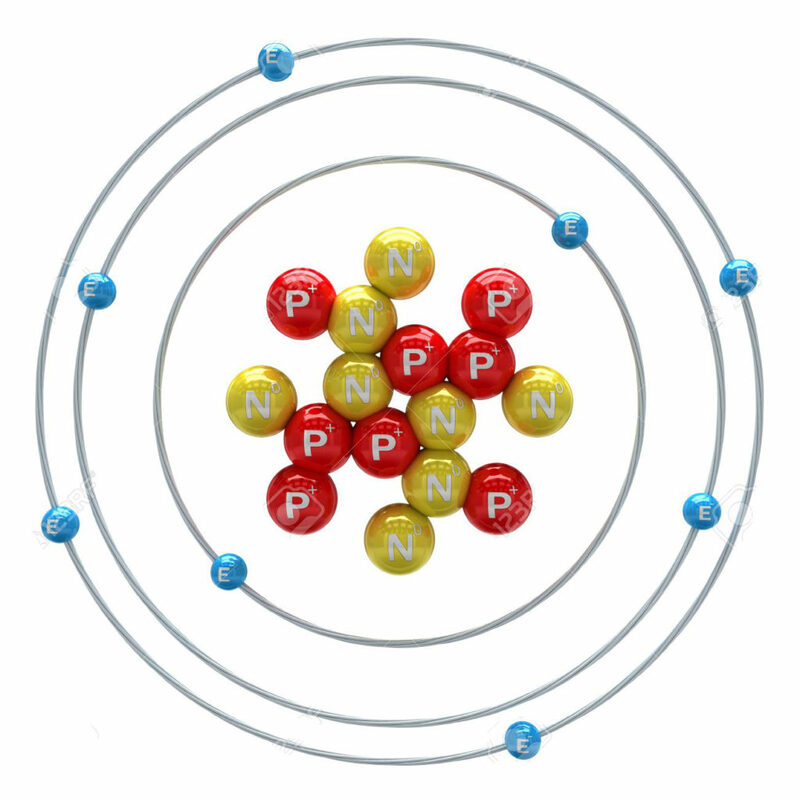 So in the case of the oxygen atom, we have 8 protons, 8 neutrons, and 8 electrons orbiting around the nucleus. Note: The carbon atom is 666 (6 protons, 6 neutrons, and 6 electrons orbiting around the nucleus). The only way an oxygen atom – or any atom – can be upset and become another element, such as water, is that that atom (oxygen) bonds with another atom. Now let’s look at the hydrogen atom and then we will combine both the oxygen and hydrogen atoms to see how we get water. In the above image, we have a hydrogen atom. It has an atomic number of 1 because it has 1 proton. It has 1 electron that orbits around it, however, it has no neutrons. This makes the hydrogen atom very mysterious indeed. Why did the Creator make it so? Keep reading. Now, let’s combine (bond) the oxygen atom with the hydrogen atom. 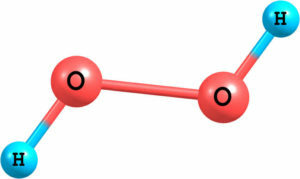 In order for water to exist, two hydrogen atoms must be bonded with one oxygen atom. Notice in the image above we have the electrons in the outer shell of the oxygen atom (6 of them) bonding with each electron of the two hydrogen atoms (a total of two). Now, I stated earlier that our bodies are made up of 70% – 80% water. Water is 89% oxygen by atomic weight! Therefore, oxygen comprises 62% – 71% of the body and is the body’s most abundant and essential element! Oxygen is the body’s most abundant and essential element. Think about this for a moment! Really! Almost 90% of all of our biological energy comes from oxygen. Oxygen, that which God breathed into the man He formed from the ground that made him a living soul is the secret to keeping us alive and disease-free! Something was released unseen into the air long ago that changed the original breath of life. We are breathing poison. It has diseased us with death. The Genesis story of Adam and Eve and the how the Serpent in the Garden beguiled the woman who, in turn, beguiled her man is much deeper than many might think. What the woman received from the Serpent (who knows the truth about all of this) was not a literal fruit. It was knowledge. She inhaled what the Serpent was exhaling and dispensing to her. That knowledge (fruit) was bad “knowledge” that upset what God had originally breathed into the man He created. When the woman “listened” to the Serpent and inhaled/digested whatever he was dispensing, she became infected. Her ne’phesh or soul (life) was no longer sustainable forever because she was then inhaling and exhaling another air that was missing something and it would not sustain her forever. Any children that would come from her would have that same unseen air (ne’phesh) within them. The man was not yet infected until he listened to his wife and inhaled whatever she exhaled. (Understand that I am speaking from a biological and atomic level here). The original ne’phesh that God gave the man he formed from the ground, is no longer in the world today. We all die because the air that God gave the man he formed from the ground was changed. This bad air or ne’phesh that we breathe is a kingdom over us. In other words, it has dominion over us. That it is a kingdom, it must have a king or ruler. It is for good reason, then, that the original Serpent is called by The Apostle Paul “The Ruler of the Kingdom of the Air. So How Can We Prolong Our Lives and Improve Our Health? Please understand that man cannot and will not be able to stop natural death or the decline of health from occurring. Not in this world or the worlds yet to come and go and exist upon this earth. These things are only in the jurisdiction of the Creator of the heavens and the earth. He alone holds the keys (secrets) to eternal life and eternal death. It should be also be understood that this world has a ruler over it – the original Serpent – who is infinitely wiser than us and he knows how the heavens and earth and the things in them were made and he understands the atomic composition earth, water, and air. He also knows well our atomic structure and knows what is harmful to it. The air that we breathe that is harmful to us. Until the source of that “bad air” is removed and the Creator restores that air to its original heavenly state, we will die. It is also important to understand that the air that we breathe impacts not only us on an atomic and biological level but also the water we drink (remember what water is made of) and the food we grow and eat. It is in everything. It also impacts our mental and spiritual health. So how do we prolong our lives and improve our health? First, one must realize that in the world in which we live we have been brainwashed and conditioned to take a pill for every ailment that besets us. People get sick more today than they did 30 years ago. Why is that? It is because the drugs and immunizations we are conditioned to take are not natural and neither are they good for us. They make us sicker. They make us sicker so that the medical and pharmaceutical communities can prescribe us more drugs. It is big business! There is little discussion about curing or preventing diseases, but just treating them to lessen the pain. If the medical community could prevent or cure a disease, they would largely be out of a job. I am in no way saying that we do not need doctors. We do. But when I turn on the television and I am barraged with commercials telling me to take this drug for that and that drug for this, then I know that something is not right here and the focus does not seem to be on curing or preventing whatever ails me as opposed to keeping me dependent on drugs and making the pharmaceutical community wealthy beyond belief. 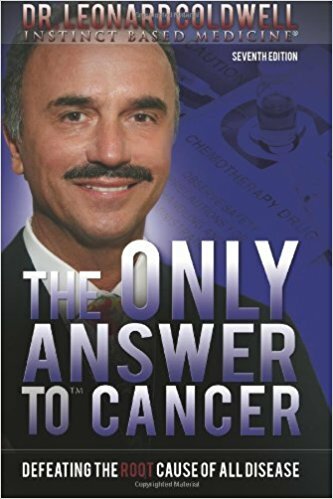 The key and secret to actually curing disease – all manner of them – and prolonging one’s life is to insert an extra oxygen atom onto the water molecule. If we can do that, we will have H2O2. 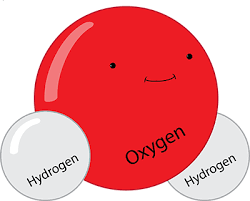 The designation H2O2 means that a water molecule is now made up of two hydrogen atoms and two oxygen atoms. That we live in an environment where the entire earth’s atmosphere is polluted, our bodies are oxygen deprived. We simply do not get enough of oxygen in our bodies to ward off disease and illness. Our bodies were wonderfully made. Scientist struggle to understand why we die! We die because on a cellular level our cells cannot breathe. They are choked off. Our bodies were made to repair themselves. However, this will not be possible if it is deprived of oxygen. Bad life-threatening and health-declining viruses and bacteria go to those places within our bodies where there is little oxygen. They cannot live and multiply in the areas in our bodies where there are proper levels of oxygen. They congregate and grow to cancer and disease. Simply inhaling deeply will not bring more oxygen into your body to ward off or even cure disease. Plus, the air intake bad. So, how do we introduce more oxygen into our bodies to enable it to do its job and kill viruses, disease, and cancers by allowing our cells to breathe and rid the body of the bad cells and generate new ones? Hydrogen Peroxide is simply water with an extra oxygen atom. When hydrogen peroxide (H2O2) is added to water (H2O1), extra oxygen atoms enter the bloodstream. The extra oxygenated blood transports those oxygen atoms to all of the organs in your body. 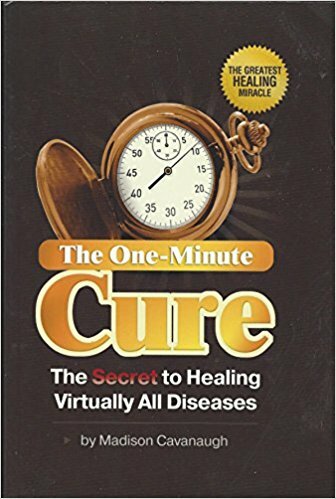 If disease and cancer-causing viruses are in the cells of any organ, the barrage of extra oxygen atoms will kill those cells and new “breathing” cells will be created. 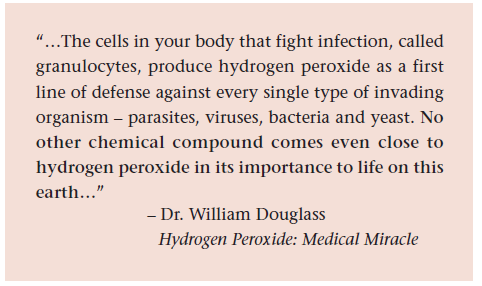 Remember, viruses and bacteria cannot live in highly enriched oxygen areas of our bodies. They will move to areas within our bodies that are oxygen deprived. The beauty of introducing extra oxygen atoms into our bodies is that they enter into the whole body and into every organ. The blood is also highly oxygenated. The infected cells have no place to go. They cannot live. They die. How To Take Hydrogen Peroxide? One cannot just internally ingest any type hydrogen peroxide. Why? Because hydrogen peroxide comes in many forms and grades. There is only one grade of hydrogen peroxide that is safe for internal use and IT MUST BE DILUTED. That grade is called 35% Food Grade Hydrogen Peroxide. The hydrogen peroxide you find in the drugstore is usually not 35% Food Grade. It is 3% grade and is ONLY for external use. (Cuts, bruises, disinfectant, etc). It is important that you use 35% Food Grade Hydrogen Peroxide as I stated earlier, IT MUST BE DILUTED before you take it internally. 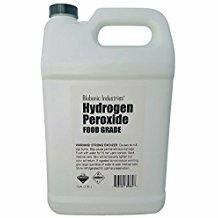 You can purchase 35% Food Grade Hydrogen Peroxide online. Amazon.com sells it by the gallon. One gallon will last you a very long time because you will dilute it. So what to do, and how to dilute 35% hydrogen peroxide for internal use, how much should you take, and for how long. Warning: Undiluted 35% Food Grade Hydrogen Peroxide will burn the skin. Imagine what it will do to you if you ingest it undiluted. If it comes into contact with your skin, immediately flush it off with water. HYDROGEN PEROXIDE IS FLAMMABLE. KEEP IN A COOL PLACE. KEEP HYDROGEN PEROXIDE OUT OF THE REACH OF CHILDREN. Please follow my instructions below carefully. 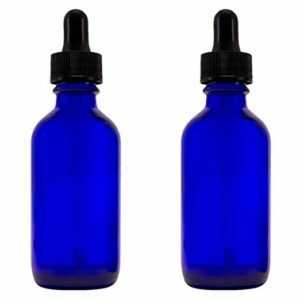 Cobalt Blue Glass Bottle 2oz with Glass Dropper. (This is used to ensure you add the proper amount of Hydrogen Peroxide to your water. You can also order these on Amazon. Distilled Water. You can purchase distilled water by the gallon at most grocery stores or drug stores. Protective plastic or rubber gloves. This is to protect your skin from an accidental spill when pouring the 35% Food Grade Hydrogen Peroxide (undiluted) into the cobalt bottles. A black felt-tip Sharpie pen for labeling the cobalt bottles. You will first pour undiluted 35% Food Grade Hydrogen Peroxide into the cobalt bottles and securely tighten the dropper caps. Thus, the need for the protective gloves. Next, store the unused hydrogen peroxide in a cool safe place for future use and out of the reach of children. You can place it in a freezer if you wish. Label each cobalt bottle “35% Undiluted Hydrogen Peroxide.” That way you will know what is inside and prevent accidental undiluted use. After dispensing your drops of hydrogen peroxide, you may place the cobalt bottles in the refrigerator. If you have small children, you might want to store the cobalt bottles containing your 35% Food Grade hydrogen peroxide in a secure and out of reach place. How to Ingest Hydrogen Peroxide? You will mix it with 6-8 oz of distilled water and drink it. The table below will show you the recommended drops to add and how often each day you should drink the solution. When you have completed the 23-day regimen in the above table, walk it back and decrease the dosage by one drop per day until you get back to day one where you were adding only 3 drops (diluted in 6-8 ounces of distilled water 3 times per day) and continue thereafter adding 3 drops per day, 3 times per day each day of your life. It is best to drink H2O2 on an empty stomach one hour before mealtime or three hours after mealtime. Just make sure you faithfully follow the table above. What Does Hydrogen Peroxide Taste Like? Hydrogen Peroxide is not tasteless. It sort of tastes like bleach. At the beginning of your regimen, the taste is negligible. However, as you start increasing the dosage – say around 15-25 drops per day might be intolerable for some. What might help make taking H2O2 more tolerable at the higher dosage levels is to chew sugar-free gum after drinking it or simply drink some water after drinking the oxygenated water. While it is rare, you might experience nausea, fatigue, diarrhea, cold or flu-like symptoms as your body attempts to expel large amounts of dead cells. 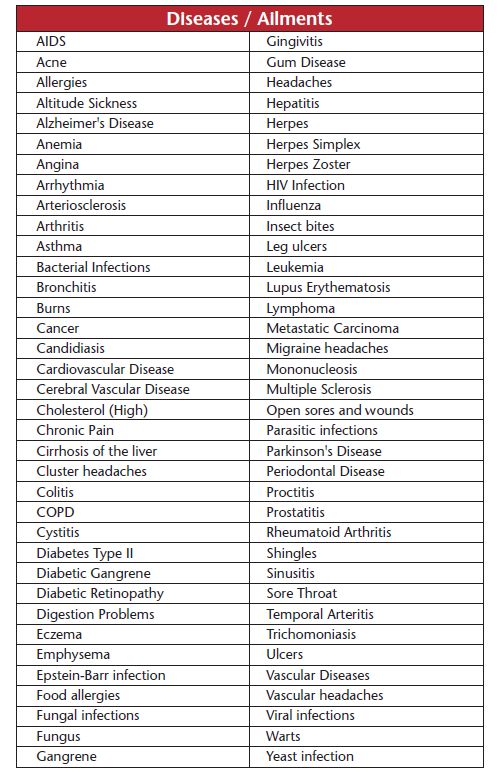 This the body’s reaction to the removal of disease-causing or toxic conditions. DO NOT stop your regimen if you experience these symptoms, that means the therapy is working and any discomfort will pass in a day or two. You might develop bolis or other types of skin inflammations. If you do, this is also the body’s reaction in getting rid of toxins and it will also pass in a few days. If you have food in your stomach when you drink the “oxygen water” you might experience nausea because the hydrogen peroxide interacts with certain viruses, bacteria, and the food in your stomach and foams. What Conditions Have Hydrogen Peroxide Therapy Proven to Treat and Cure? 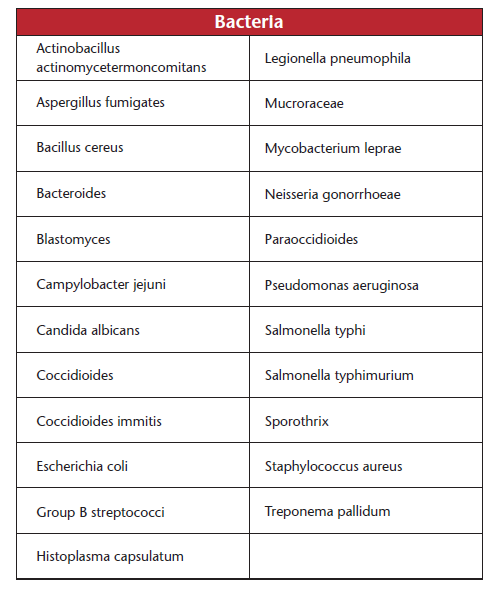 The table below is a partial list. We are all oxygen depraved creatures and most of us are unaware that we are. The air is filled with pollution and smog and it inhibits our ability to take in sufficient amounts of oxygen. When we breathe, we breathe slowly and shallowly when taking in polluted air, and as a result, our bodies become accustomed to living with less oxygen. Our atmosphere should contain approximately 20% oxygen, but in polluted areas, it is as low as 10%. Thus, it is impossible for us to inhale the amount of oxygen we need to effectively fight off diseases. The water we drink from the tap contains very little oxygen because it travels down pipes never being exposed to air. Many of the trees on the earth are cut down. Trees breathe in the carbon dioxide we breathe out and they, in turn, provide us with oxygen. Fewer trees mean less oxygen for us to breathe. Why Has This Information Been Kept Under a Lid? Because it would have a major economic impact on the pharmaceutical industry. It is big business! We have been purposefully conditioned to be dependent on doctors and pharmaceutical drugs to control diseases and ailments. New treatments such as what I described in this article are laughed at and there are very powerful and wealthy lobbyist who spend billions of dollars in advertising their drugs and also suppressing this information and will do anything to convince you that hydrogen peroxide is dangerous and ridiculous. Hydrogen Peroxide Therapy, if faithfully adhered to, can treat and cure all of the diseases that ail us and lead to a disease-free world. Sadly, the love of money and profit is more important than your happiness, health and quality of life. Next Article Who Are You?